In regards to CrossFit training, all you have to do is show-up consistently and we’ll take care of the rest. However, when it comes to nutrition and recovery, two very important factors impacting your CrossFit performance… the ball is in your court. As we all know, eating natural, unprocessed foods while following The Paleo Diet guidelines will take care of your nurtitional needs. In order to make progress, get faster, stronger and leaner, SLEEP is by far the most important factor of all. If fact, the link between sleep and physical perfromance is more profound than we think. Researchers showed that up to 10 HOURS of sleep made football players faster. They also looked at how sleep can affect a childs test scores, brain development and early learning. Take home message: Never underestimate the power of a good nights sleep! 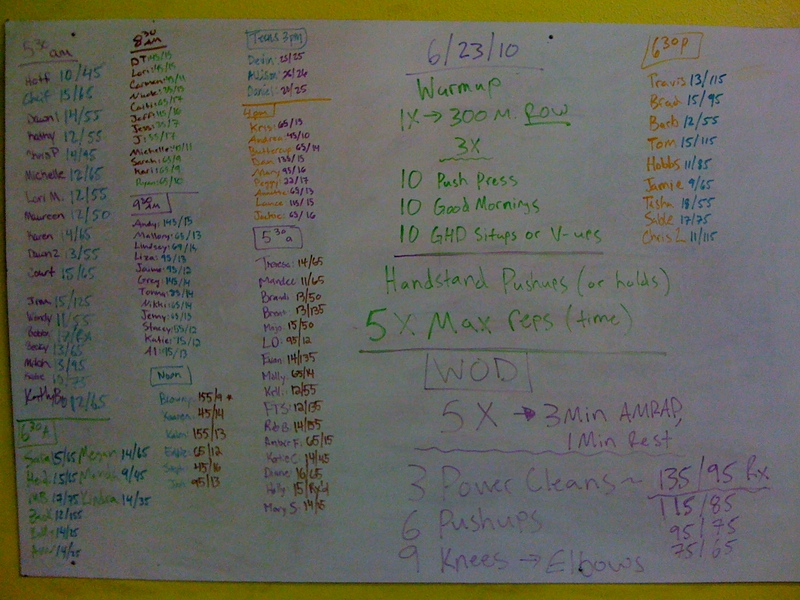 This entry was posted on June 23, 2010 at 10:21 pm and is filed under Crossfit Philosophy, Nutrition. You can follow any responses to this entry through the RSS 2.0 feed. You can leave a response, or trackback from your own site.